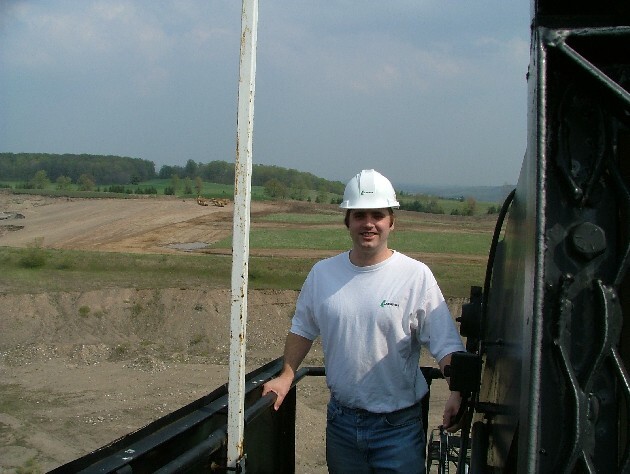 On May 12, 2004, I had one of my spies follow Roo to a derelict dredging machine in an old Aggregate Pit. 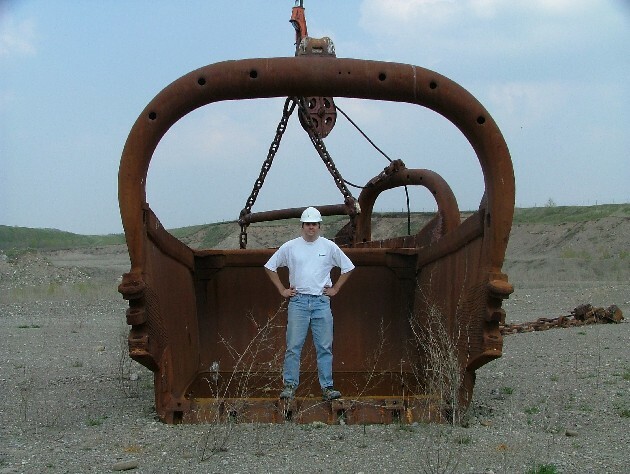 At one point this was the largest movable machine in Ontario. 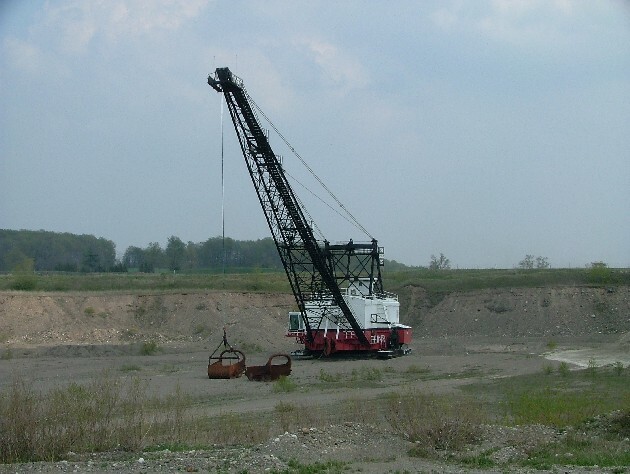 It stands over 150 feet tall and is capable of scooping 20 tons of material from a lake bottom, The Machine has not been used for a few years due to changing work practices. ABOVE: This is the scooping bucket, capable of scooping 20 tons of material, i know Roo is not looking fat when compared to the size and heft of the bucket. BELOW: Roo uses all of his strength to lift one amazingly large chain. 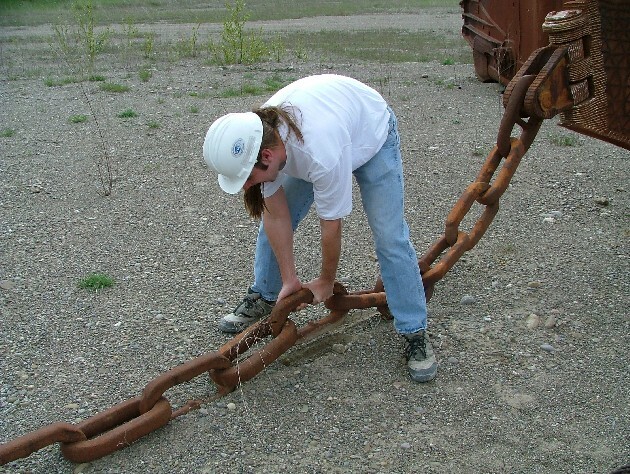 When you get married, they use the same chain on the "ol'ball and chain". 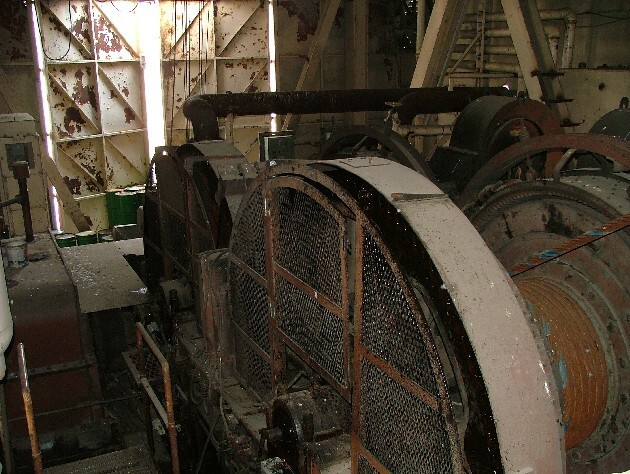 ABOVE: The massive wenches and engines used in this machine. Three super large Caterpillar enginers could produce serveral thousand horsepower to move the dredger. 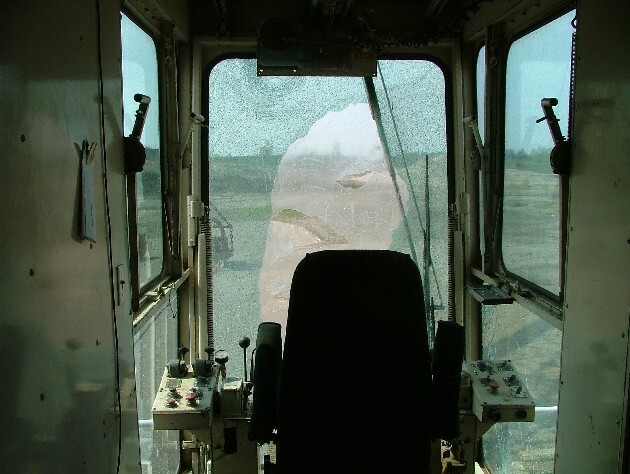 BELOW: Inside the drivers compartment, Not much to it. On the left side, we can see the former operators resume, not the most effecient way to get a job. 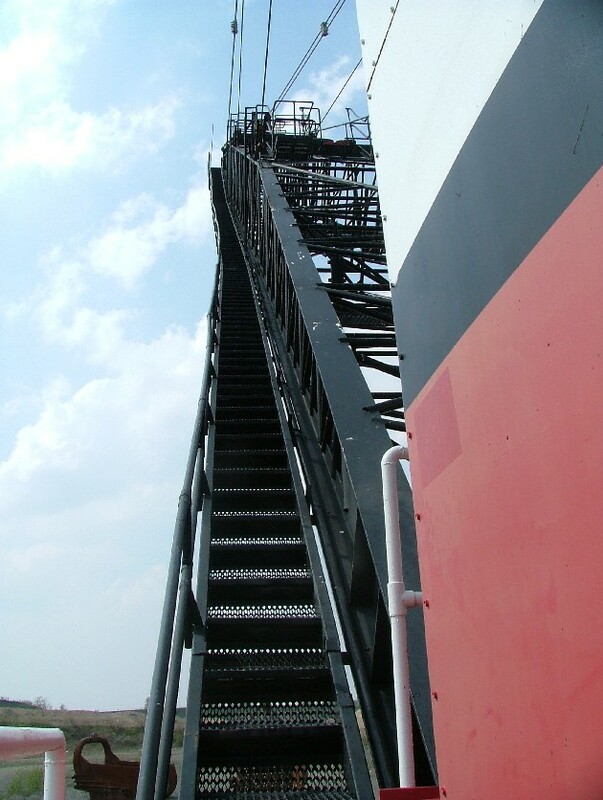 ABOVE: Thats a long way up a skinny set of stairs, all the way to the top of the boom. BELOW: Roo at the very top of the boom, overlooking the surrounding area. He doesn't look too scared does he? 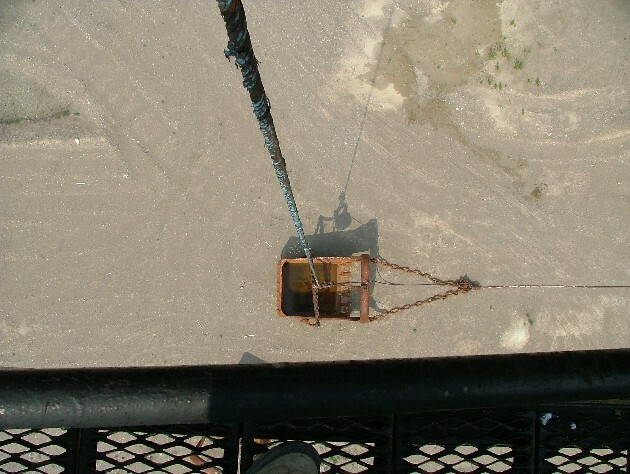 ABOVE: It really is a long way down, and remember that bucket is massive when its up close. 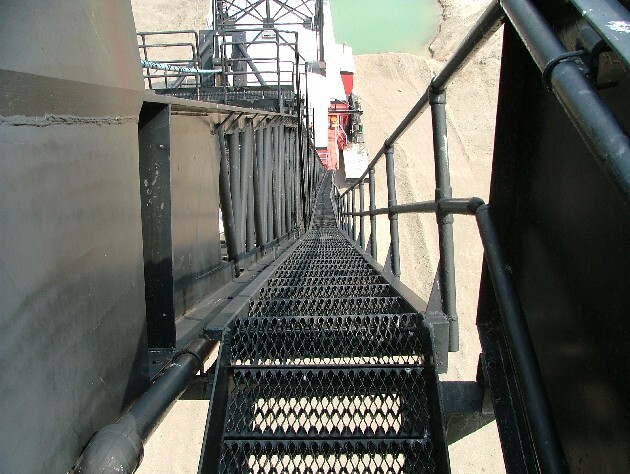 BELOW: Finally, a long walk down the rickety stairs back to mother earth.